For most websites, search engines remain a vital component of their traffic portfolios and marketing strategies. Virtually everybody uses search engines to find what they need, making it one of the most sought-after mediums through which to get exposure. Search rankings are fuelled by a complex series of algorithms that determine which pages are most likely to be enjoyed by or prove useful to readers. Every once in a while, a well-ranking website may find itself in a bad situation with one or more search engines, suddenly noticing that their search engine traffic has dropped off a cliff. This likely is due to a search engine penalty of some sort: today, we’ll discuss the most common Google penalties and how you can rectify the situation. Perhaps the most common penalty seen today is due to a low quality of content. Through Google Panda’s algorithms, content is assessed on numerous levels for its overall quality. While the exact factors are still not entirely understood, the search engine has become quite adept at determining which types of content deserve top placement in its rankings. Google has explained that in order to generate high quality content, websites should be pinging users with information that is trustworthy, original, detailed and grammatically correct. If you have suddenly identified a drop in traffic and have isolated the problem to a Google Panda violation, then it may be worth considering a complete content audit in order to improve the quality of your blog posts and pages. Link building still remains a vital component of SEO. As search engines make associations between websites based on links, having a wide variety of relevant links is essential for long-term success in rankings. All too often, people become overzealous and may run into problems with Google along this front. Google Penguin algorithms assess the quality of your links, and a penalty generated in this department may be the easiest to correct. If your website has suddenly gained a large number of links, links from only one source (blog comments, for example) or is being influenced by excessive anchor text, then reducing the instance of these variables can eliminate the conditions for the penalty. Responsive web design has become the norm for search engines like Google. A couple of years ago, Google began prioritizing websites with responsive design in its SERPs; not too long ago, it implemented penalties for websites that do not have responsive design. This can often be a major setback for websites, but the solution is simple. There are many ways you can implement a mobile responsive design, with tools and add-ons that can generate mobile-friendly versions of your website and serve them to relevant users. It will take some time for this penalty to disappear, but the correction is straightforward and requires little detective work. If you’re pinging users with quality content, avoiding the use of excessive or spam-like links, and serving mobile versions of your websites to users, then you should easily avoid the most common Google penalties. There are other problem areas you might encounter, but most Google penalties fall into one of these three categories. 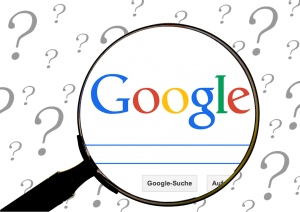 Have you ever been penalized by Google for a problem other than one mentioned here? If so, tell us below about your experience. « Why Do Businesses Use Instagram?